"Travel in the young is part of education, in the elder a part of experience." Francis Bacon made this observation in the 17th century, and it resonates now. Travel today is a highly aspirational, emotional, and educational experience. However, today's experience is largely a digital one, which is evolving our roles as hoteliers and marketers at the very pace of innovation. We must constantly use people-based marketing to re-imagine how we connect with travelers and inspire them to connect in return. There is much in play to win the hearts, minds, and spend of the digital or so called "connected" traveler, who controls an estimated $180B global stay spend on hotels, vacation rentals, and packages (Statista Market Outlook, 2016). 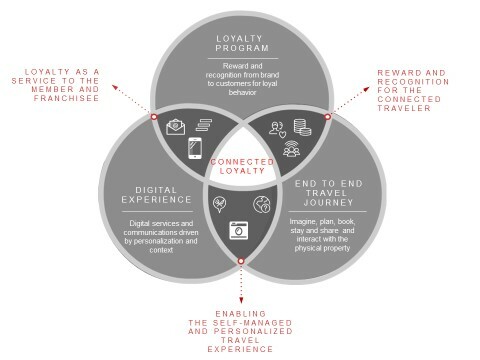 Hotel companies, via their loyalty programs, have the opportunity to become the hub for the self-service, end-to-end experience of the connected traveler. 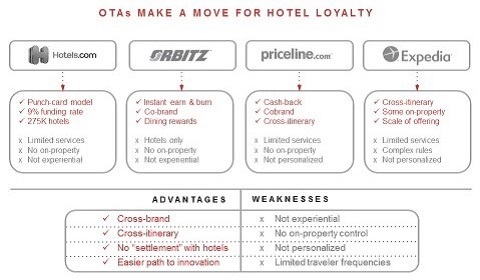 Here is a look at connected loyalty strategies that will make the difference for today's hotel brands, large or small. 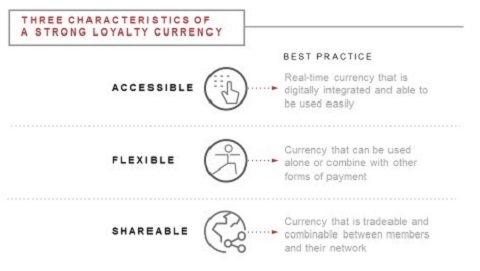 Connected Loyalty means that the loyalty program is intimately tied to digital and to the end to end experience. Skift recently held a discussion with eight hotel executives on the future of their loyalty programs and observed that, "[Loyalty is] a unifying strategy that, for many, is absolutely crucial to the short- and long-term success of their businesses" ("8 Hotel Executives Say Where Hotel Loyalty is Headed Next," February 6, 2017). Surely, loyalty has evolved into an enterprise strategy and complex marketing science that intersects with both the digital and the end-to-end travel journey. With such bold moves as the entry into corporate travel by Airbnb, the vertical and horizontal digital and channel acquisitions by Expedia and Accor, and the significant transformation of program value propositions made by Wyndham and Hilton, the fierce competition in play to capture a share of the growing appetite for travel is fascinating to observe - even as consumers suffer from both shrinking attention spans and digital overload. The reality is that today's connected traveler imagines, explores, books, plans, stays, and shares their hotel experience in the digital arena. In many cases, travelers completely self-manage their stay from end to end. For example, some 69 percent of travelers start their search online (Google, The 2014 Traveler's Road to Decision). According to 2016 data from Euromonitor International, some 44 percent of travel sales and bookings are expected to occur online through either desktop or mobile devices during the next five years. That's four times greater digital penetration than the retail industry (11 percent) and nearly five times as much as restaurants and dining (seven percent). This reality has changed the role of both the brand and the loyalty program, from servicing customers directly to instead providing tools and content that enable them to service their own experience. For example, Starwood Preferred Guest offers platinum members the opportunity to customize the check-in and check-out times of their stay to accommodate their itinerary. Hilton's Digital Key allows members to choose their room and check in without the "interference" of the hotel team. Marriott is making significant efforts to revamp its member app and bring localized and personalized offers (mPlaces) driven by beacons and machine learning. Via their loyalty programs, however, hotel brands can do more to serve travelers in earlier and later stages of the sales cycle as they imagine, plan, book, and share their hotel stay experience. By their very nature, loyalty programs generate a wealth of data, offering a unique memory of member preferences, spend, and habits that hotels are for the most part not using to anticipate and assist travelers throughout their journeys. By not leveraging their proprietary loyalty data to improve the travel experience, hotel brands are ceding parts of that experience - including parts enjoyed by both younger and female travel segments, to quasi-competitors such as online travel agencies (OTAs). In a recent article, Forbes found that 75 percent of millennial travelers do their own travel planning, often six to 12 months in advance ("Are Millennial Travel Trends Shifting in 2016? ", Lea Lane, January, 2016). Furthermore, the article listed experiencing a new culture (86%) and eating local foods (69%) as common determining factors for motivating people aged 18 to 24 to travel. Both of these activities are rich areas for content and recommendations by destination "locals" - for example, hotel staff and other travelers, even those currently on a trip. This survey data represents another critical opportunity for hoteliers - to serve their franchisees with digital services, likely through a shared platform that operators can engage for local marketing and content, as well as by compiling into live profiles information learned on property about members. Today's technology makes the latter practice, a classic practice of luxury hotels, accessible for hotels of all scale and size. With the recent launch of its Concierge app, for example, Hotels.com has recognized an opportunity to serve travelers more locally. Partnering with Button Marketplace, Hotels.com Concierge offers fast access to services such as transportation through Uber, on-demand food delivery through Delivery.com, restaurant reservations through OpenTable, and activities through Groupon. Ticketing is reportedly coming soon ("Meet Your New Hotel Butler: Hotels.com Concierge Will Change How You Travel," PRNewswire, January 2017). In her December 2016 blog, Socheata Sam at 500friends asked "How can we reverse a lagging sense of loyalty from the non-elite traveler who represents $650B in annual spend?" A good question, given that this discretionary traveler audience catalyzed intermediation by online travel agencies. The good news: Recent innovations by hotel loyalty programs have better democratized their programs, making rewards and travel itself more accessible for a much broader audience with business, leisure, and "bleisure" travel aspirations. One way that hotel brands are making their programs more democratic is by increasing the ways in which travelers can use their loyalty program currency. The recently re-launched Hilton Honors program increased the utility of its currency by making points redeemable on Amazon.com as well as making them combinable between members. Choice Privileges from Choice Hotels has expanded its redemption options to include luxury hotels (Preferred Hotels) on one end of the spectrum, while expanding on the other end with micro-level rewards such as in-room Wi-Fi. Wyndham Rewards has won both accolades and financial results by evolving their program in a way that streamlines rewards across all types of properties to a single reward tier of 15 thousand points. This innovation is both elegantly simple and disruptive in that it challenges the "settlement" model long in play between franchisees. More importantly, the brand has opened up an expansive range of accommodation to travelers where they may not have been accessible before. These advances are made possible by both digital innovation and better loyalty platforms The mantra of "connected loyalty" focuses on building programs on an open, agile, partner-friendly, and channel-agnostic technology platform deeply intersected with CRM, analytic, and customer identification principles and systems. The Forbes survey also noted that millennials reach out to friends and social media 76 percent of the time when considering a travel destination, making social strategies critical to reaching the younger connected traveler. Hotel loyalty program operators understand the need for social presence, as reflected in sites like SPG's "Stay Connected," which serves as a portal out to all of the major social destinations (Facebook, Twitter, Instagram, Pinterest, YouTube, and Foursquare). Retail brands like Urban Decay are taking a bold leap forward to integrate social into their own digital environment, rather than sending their 4.1MM Instagram fans elsewhere. This innovation is a real inspiration for retailers and hoteliers alike. What's missing is the integration of social sites into the native environment of the brand, or brand loyalty program. The loyalty program after all is a network of the brand's best and most knowledgeable guests, many of whom will advocate for recognition or reward. Members should be able to login to an integrated social platform and connect with others members, get recommendations, and earn a small bonus reward. Ideally, members could book hotel rooms in that same flow using points, or points and cash, and then share that booking with their social networks. What's the alternative? Hotel marketers who send their guests elsewhere for social connection with the brand risk and the same disintermediation they do with the OTAs. This brings to mind recent developments by many hotel brands to offer "member only" rates when loyalty program members book though the brand's owned channels. This strategy makes use of the closed user group pricing loophole in hotel brand agreements with OTAs. Booking through an OTA also often means not receiving points for a hotel stay, unless the OTA offers its own loyalty program - which is increasingly the case. By most accounts, member only rates are three percent less than the published OTA rate - a discount unlikely to impress many travelers. Add that discount to the five to six percent funding rate of most hotel loyalty programs, and this strategy begins to get a bit pricey. Price wars are the very antithesis of loyalty program strategy; hoteliers should take care not to go the way of retailers, who can tell a story or two about an online retailer once focused on price who now has one of the world's most successful loyalty programs, Amazon Prime. Then, measure, learn, and go back to step one. By working with the best partners in the business, hotels can build connected loyalty that will last a lifetime. Allison Ferguson is a Senior Strategist and thought leader with 500friends, a Merkle Company. There, she works with clients on loyalty program design and organizational transformation across industry, business model, and level of market maturity. She has 20 years of loyalty experience including 10 years of brand loyalty experience with IHG and Leading Hotels of the World, and 10 in loyalty consulting, most recently with Accenture. She is deeply passionate about facilitating and shaping the best ideas from her client organizations in order to create a genuine value exchange with customers. Ms. Ferguson considers herself a value creator and problem solver and takes great pride in the many brands she has served. Ms. Ferguson can be contacted at (443) 542-4200 or acripps@merkleinc.com Please visit www.500friends.com for more information.